That Was Tomorrow, a first novel that has begun life as an e-book and may eventually be published under my own imprint, has a Hoboken history and is not autobiographical but does deal with some situations that have happened in my own life. I began the book in Hoboken, where my leading character was born. I would take young Amelia King through a privileged childhood with a nanny from hell, a repressed woman with so many hangups that little Amelia’s only refuge was in a game that involved torturing her teddy bear in order to save him. Amelia was born in the late 1890s into what was known in Hoboken as the upper crust—the moneyed families who inhabited the mansions of Castle Terrace and Hudson Street. I gave her a sympathetic grandfather who happened to run a prosperous business, a dry goods store on Washington Street, and a father who was a doctor with alcohol and drinking problems. Her mother was the daughter of the hardworking Irish couple--the eldest, prettiest daughter, somewhat inhibited and socially insecure. This backstory became a bit convoluted as I had a beloved aunt rescue Amelia from the cold-hearted mother and the evil nanny and take her to live with her family of four boisterous children in Philadelphia. Amelia was enrolled with her cousins in progressive Quaker school, and she decided early on that she wanted to be a schoolteacher herself. I sent Amelia off to Mt. Holyoke, which is where the model for this character, Grace Rotzel, actually did matriculate. I kept almost nothing of Miss Rotzel’s character in my creation of Amelia, as I knew so little of what she was like. I didn't think about it, but through this character I was able to work out some of the problems of my own young womanhood and make this one work better than mine had. 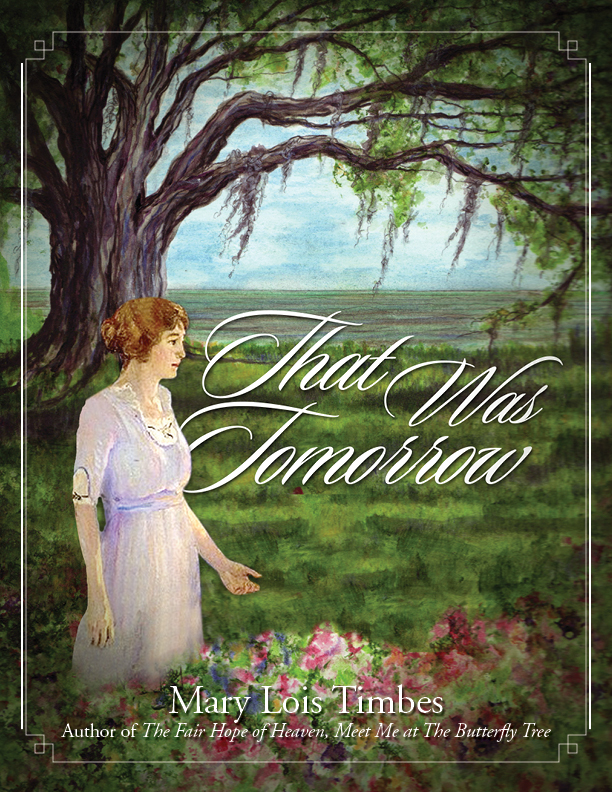 Amelia was to become, by her own choice, a “new woman” of the 20th century and carve out a life for herself outside Hoboken, starting with a trip to the utopian community of Fairhope, Alabama, to study with the visionary educator Marietta Johnson. Like Grace Rotzel, she would spend most of the 1920s in Fairhope, working under Mrs. Johnson, and ultimately leave it to start a similar school in Rose Valley, PA. Most of the Hoboken stories had to be omitted to focus the book on Amelia herself and the life she creates. The kindly grandfather who left Amelia enough money to allow her to pursue her dream of teaching school in the remote, earth-changing village, is reduced to a few mentions. Descriptions of early Hoboken were edited out, some of them fanciful anyway (I had created a singing shoeshine boy hanging around the terminal, based on stories of the revered Italian singer Jimmy Roselli who actually lived in Hoboken a generation later; I reluctantly cut this character out of my novel for space.) There is affection for old Hoboken in my narrative, even though I never experienced it. Every step I take in Hoboken informs me and sends me into a reverie about the history of the city, and I hope That Was Tomorrow has enough of Hoboken in it to be of interest to those who live or visit here now. The e-book is available on amazon or from my website at www.findingfairhope.com. E-books are the wave of the future, and you don't even need an ereader. They can be downloaded right onto your computer.